Boeing and United Airlines have announced an order for 24 additional 737 MAX jets and four more 777-300ER (Extended Range) aeroplanes last year. The $4.5 billion order, according to list prices, was booked as unidentified on Boeing's Orders & Deliveries website. The Chicago-based airline has steadily placed new orders for the two Boeing jets to serve its large domestic and international network. United Airlines is among the more than 100 customers who have made the 737 MAX the fastest-selling aeroplane in Boeing history, receiving more than 5,000 orders since the program’s launch. The 777 has become the best-selling twin-aisle jet family in history, earning more than 2,000 orders. 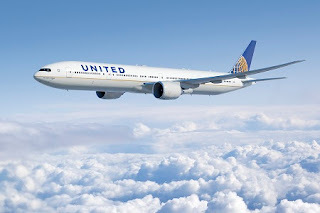 In fact, United’s order pushed the program over the 2,000 thresholds in December. It is also the most reliable twin-aisle jet flying today with the highest schedule reliability in the industry at 99.5%. The 777-300ER can seat up to 386 passengers in a three-class configuration and has a maximum range of 7,930 nautical miles (14,685 km). United also utilizes Boeing Global Services to enhance its operations of their large fleet of Boeing aircraft. Multiple digital Boeing solutions, including those powered by Boeing AnalytX, optimize its operations. Recently, United signed for crew management and electronic flight bag (EFB) tools to enhance operational efficiency across all phases of flight. .